A pillory (German: Pranger) built in 1561. 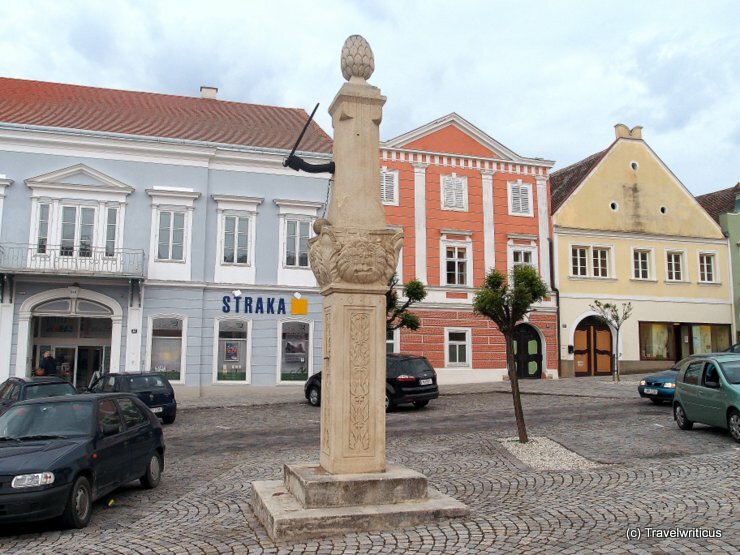 I was surprised to read that this pillory had been destroyed in 18th century but people of Retz were able to reconstruct the pillory in 1962 after finding the most parts in different places nearby. 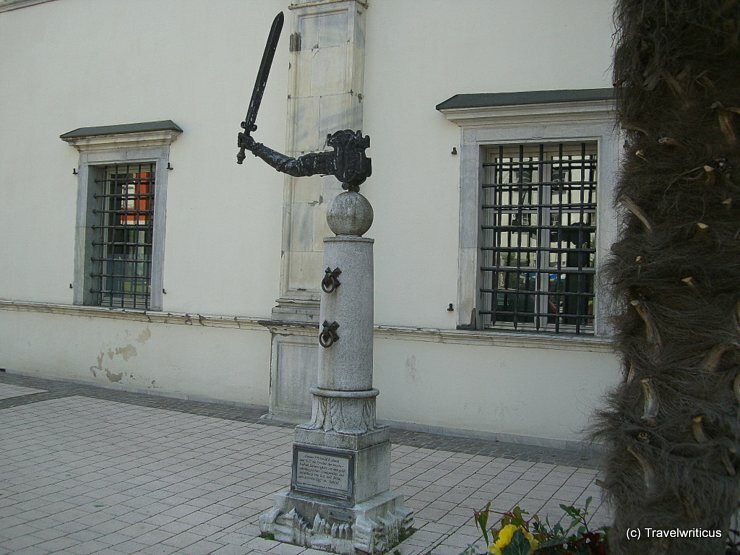 This pillory dating back to the 16th century stands in front of Porcia Castle (Schloss Porcia) in the Carinthian city Spittal an der Drau.